Macfarlane, Allison. 2012. “Nuclear impacts: Uranium, waste, and nuclearity.” Social Epistemology Review and Reply Collective 1 (5): 1-2. On 20 January 2015, the Seminar on Interdisciplinary Research and Education in Nuclear Emergency Response (SIREN), hosted by Virginia Tech’s Department of Science and Technology in Society, held its first in a series of monthly talks at the Virginia Tech Research Center in Arlington, Virginia. SIREN’s objective is to engage in conversation with international experts to examine nuclear emergency response. The keynote speaker, Allison Macfarlane, directs the Center of International Science and Technology Policy at George Washington University and is the recent Chairman of the U.S. Nuclear Regulatory Commission (NRC). Sonja Schmid, host of the SIREN series, introduced Professor Macfarlane’s talk “International Response to Nuclear Emergencies: The Case of Fukushima.” The audience in the room represented social scientists, nuclear engineers, graduate students and those from both government and the private sector nuclear fields. What was the nuclear story that SIREN prompted Macfarlane to tell? It was the story of unprecedented disaster at Fukushima Japan—a story of extraordinary human ingenuity, heroic effort, resiliency, and unanticipated socio-technological system and governance failures. Macfarlane also offered a more encompassing story of nuclear meaning that began with a reference to Gabrielle Hecht’s article “An elemental force: Uranium production in Africa, and what it means to be nuclear” in the Bulletin of the Atomic Scientists (March/April 2012). Macfarlane’s review of that article, “Nuclear impacts: Uranium, waste and nuclearity” appeared in the Social Epistemology Review and Reply Collective (2012). “Nuclearity” is Hecht’s term for “how places, objects, or hazards get designated as nuclear” (2012, 24). This notion refers both to a measure of radioactivity and a socially constructed idea “that emerges from political and cultural configurations of technical and scientific things” (Hecht 2012, 25). Thus, the perceived meaning of “nuclear” can shift at different times and in different contexts. Differing levels of nuclearity can cause people, governments and industries to construct differing levels of, and responses to, perceived nuclear safety, hazards, and risks. In her article, Hecht focuses on uranium mining in Africa and how varied versions of nuclearity, as applied to uranium and mining operations, informed nuclear (or non-nuclear) governance and shaped how health consequences were classified for uranium workers when uranium was treated as a commodity. Hecht argues that the commoditization of uranium allowed it to be treated as essentially non-nuclear (low or no nuclearity) and thus not requiring government safety and health oversight. In her review of Hecht’s article, Macfarlane looks at the nuclearity of radioactive waste disposal and the contrasting perceptions of its nuclearity in different locations in the United States, compared to countries such as Sweden and Finland. Macfarlane shows that siting of a waste repository in these countries has been more successful than in the U.S.; in part, because governments ensured that communities were comfortable with the nuclearity of nuclear systems before siting decisions were made. Hecht and Macfarlane locate questions of nuclearity in two distinct areas of the nuclear fuel cycle. Uranium mining, and nuclear waste disposal, mark the beginning and end of the fuel cycle. The nuclear fuel cycle describes the path taken by uranium from its initial mining, through refinement processing, to reactor fuel creation, to use in nuclear power reactors and, finally, to the disposal of radioactive spent fuel after use in the reactor. Hecht and Macfarlane describe the contested meanings of nuclearity in mining and waste disposal, respectively, and we can assume that a similar contestation could occur in other phases. Unlikely differences in perceived nuclearity also occur when fuel is actually being used in a reactor or stored in a spent fuel pool—differences made evident by, for example, perception of radiation hazards by reactor operators and those by the general public. With the overall fuel cycle in mind, Macfarlane’s story takes us to a nuclear area that is simply not present in the sequence of the nuclear fuel cycle: the catastrophic failure of a nuclear power system. In her keynote, Macfarlane adds another volume of nuclearity to the nuclear story. She described what is generally thought of as unthinkable: the complete failure of systems that are designed to prevent failures of nuclear systems. The earthquake and tsunami at Fukushima not only damaged or destroyed the nuclear power systems themselves, but also buildings, roads, power lines, communications, emergency equipment and vehicles. Redundant systems needed to cool reactor fuel were destroyed and the physical environment surrounding and supporting those systems and the Fukushima power plant was also demolished. Even with the legacy of Three Mile Island (TMI) (1979) in the United States, and Chernobyl (1986) in Ukraine, the nuclearity of disaster was not entirely legible. The nuclearity of the TMI accident was intensely contested. The reactor core melted, but there were only low levels of radiation released into the environment. The Chernobyl disaster released tremendous amounts of radioactivity, but it was viewed as the failure of a system unlike any American nuclear reactor. In contrast, the nuclearity of the Fukushima disaster was placed squarely and unambiguously into the minds of Americans. The disaster involved not only reactors of American design, but a type widely used in the U.S., General Electric’s Boiling Water Reactor (BWR). Moreover, the disaster made clear that it was possible for all systems to fail. Suddenly, the perceived potential for disaster was looming in people’s backyards. With Fukushima, governments, industry and the public could no longer view nuclear power systems as just another type of commodity, or electricity producing technology. The nuclearity of disaster abruptly went from being nearly imperceptible to off the scale. Macfarlane directly addressed the world’s responses to Fukushima and nuclear disaster’s new measure of nuclearity. According to Macfarlane, international governance agencies to include the World Association of Nuclear Operators (WANO), the European Union (EU), and the International Atomic Energy Agency (IAEA) all engaged with technical assistance and resources. Macfarlane emphasized that the U.S. NRC also immediately activated its emergency operations center even though it has oversight of only U.S. reactors. Once the immediate consequences of the disaster stabilized, the Japanese and the international nuclear communities assessed lessons learned and most performed reactor inspections and stress tests. 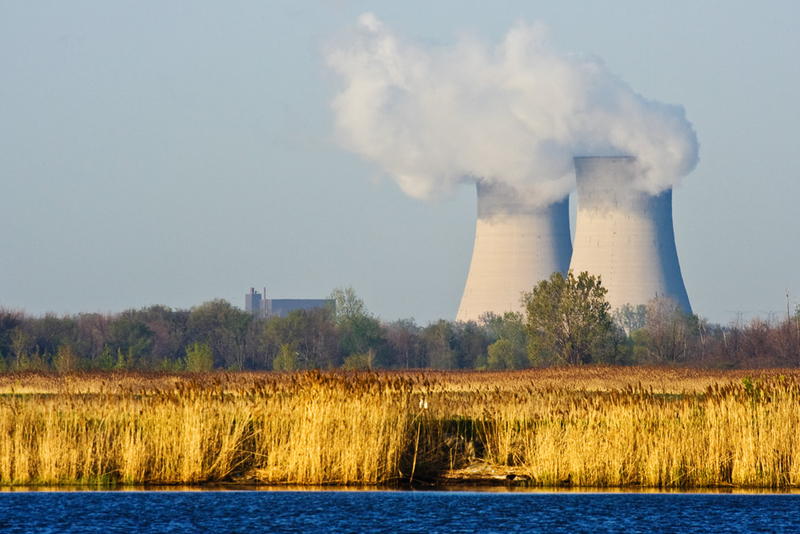 The disaster also prompted nuclear regulators to implement changes to their systems that included staging of emergency equipment, implementation of methods to measure spent fuel pool cooling water levels and risk assessments of natural hazards. Macfarlane related that Japan shut down all of its nuclear reactors and at least one of its own accident analyses blamed “organizational interests [that were] put ahead of public safety.” Subsequently, the Japanese government established a new regulator, the Nuclear Regulation Authority (NRA) that, unlike its predecessor, has its regulatory functions decoupled from that of nuclear power advocacy. It was hoped that this change would increase regulatory transparency and help to restore public trust. Macfarlane also presented candid findings, from the NRC itself, where she said that they had never considered simultaneous, multiple reactor failures nor natural disasters that went beyond the design basis of the nuclear systems. These assessments and responses show the contrast in levels of disaster nuclearity prior to and post Fukushima. Macfarlane not only made evident the changes in the nuclearity of disaster, but she also presented indications that its nuclearity remains contestable. In March 2014 the 76 contracting parties (CP) to the Convention on Nuclear Safety (CNS) held their 6th Review meeting (33 of the CPs have nuclear power plants). Sixty-nine of the CPs participated with three of the seven, who did not attend, known to have “nuclear ambitions.” Furthermore, according to Macfarlane, eleven of the CPs did not submit national reports on the safety of their nuclear programs. Macfarlane made it clear that this lack of participation was of major concern for the international nuclear safety regime and further emphasized that no international body sets nuclear safety standards for all countries. This relative indifference to the advancement of nuclear safety and the lack of global standards are clear markers that nations can see disaster nuclearity quite differently. As the SIREN keynote speaker, Macfarlane introduced the substantial difficulties of global nuclear regulation and the extremely complex problems of practical international collaboration and response to nuclear emergencies. Furthermore, Macfarlane raised awareness that among the international community the seemingly self-evident concept of nuclear disaster is far from universally understood. Perhaps future seminars in the SIREN series can contribute to the nuclearity of disaster conversation. Hecht, Gabrielle. “An Elemental Force: Uranium Production in Africa, and What It Means to Be Nuclear.” Bulletin of the Atomic Scientists 68, no. 2 (2012): 22-33. Macfarlane, Allison. “Nuclear Impacts: Uranium, Waste and Nuclearity.” Social Epistemology Review and Reply Collective 1, no. 5 (2012): 1-2. Macfarlane, Allison. “International Response to Nuclear Emergencies: The Case of Fukushima.” Seminar on Interdisciplinary Research and Education in Nuclear Emergency Response (SIREN): Virginia Polytechnic Institute and State University, (2015). Presentation.